Born March 18th, 1980 in Caracas, Venezuela. Award nominated record producer and recording engineer based in Seattle Washington. Chief Engineer and Instructor at Robert Lang Studios. After spending tons of hours recording, touring and developing local bands in Venezuela, such as, 1ra Edicion, Piso 23, La Mar and Zeta for which he is most known for; Marcel moved to Seattle escaping the political crisis rotting his hometown. He then began working his way up into the Seattle local scene. 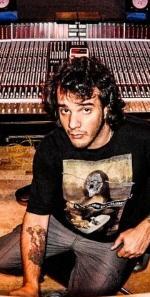 With countless studio sessions, ranging from small local artists to arena rock acts like Foo Fighters and amazing experiences with the world’s best rock producers (Eddie Kramer, Butch Vig, Joe Barresi, Ed Cherney, Elliot Scheiner and Phil Ramone ) Marcel has acquired an array of techniques as well as experience and insight to help you find the best of you. He is also the owner and operator of Roadhouse Studios and Waipea Records. The label is widely considered one of the main contributors to the punk rock underground scene in Venezuela since 2003. "The first time I tried the amethyst vintage was during a session with Joe Barresi in France where we used the mics as overheads. I was really impressed with the well balanced sound we got on the kit. After I spent more time experimenting with the microphones they became my very first option when tracking drums. With just a stereo pair on "recorder man technique" I can get a huge well defined image of the drums. On electric guitars, the low end is incredible with sweet highs that never became harsh. On vocals, this mic is warm and full, just comparable with those hard to find vintage tube mics. With the Amethyst Vintage you cannot go wrong !!!"